CoolSculpting is a non-surgical contouring treatment that freezes stubborn fat, which then is naturally eliminated from your body. No needles, no special diet, no supplements, no surgery. And most importantly, little to no downtime. It's safe, medically-cleared and effective. Developed by renowned Harvard University scientists. CoolSculpting technology was born of the obervation that some children got dimples due to eating popsides. 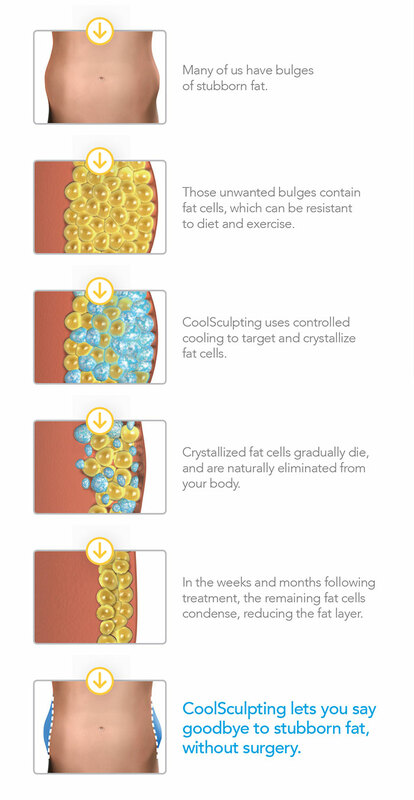 That breakthrough was the insight behind Cryolipolysis, that proven science on which CoolSculpting is based. Cryolipolysis is exclusively licensed from Massachusetts General Hospital, a teaching affilate of Harvard Medical School. We all have stubborn fat that just won't go away. 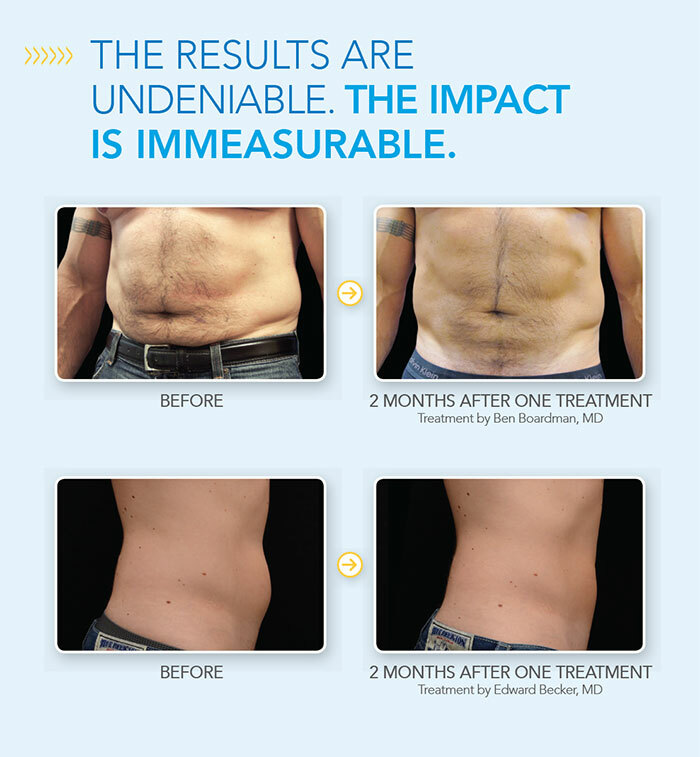 CoolSculpting can help you eliminate fat in problem areas without surgery.